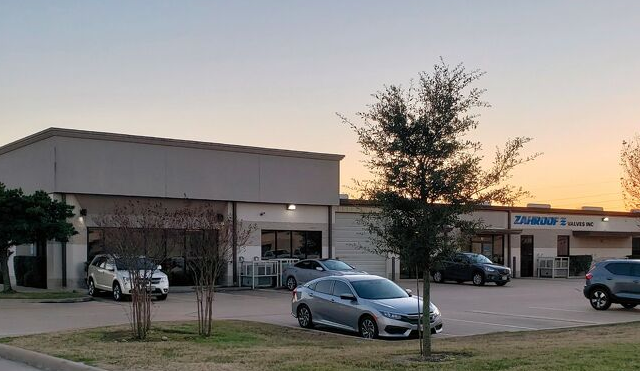 Zahroof Valves Inc. has relocated its Houston, USA, headquarters to a larger facility. The 13,400-sq-ft. (1245-m2) building brings three times the underroof footprint compared to its former location and integrates warehouse and manufacturing into the same building. Founded in 2010, Zahroof Valves offers compressor valves based on the modular reed valve technology. Its StraightFlo valve is a drop-in replacement compressor valve that is made up of replaceable reed valve modules designed so that the gas flows essentially in a straight line through the valve. The StraightFlo valve has a design where several standard and interchangeable modules are held stationary between the valve seat and carrier. The company offers eight standard modules in three materials, with the same external dimensions, that cover the entire speed range and operating conditions of existing industrial compressors. A module is selected for a valve based on the operating conditions of the cylinder in which it is installed. Modules are interchangeable between valves, irrespective of the size of the valve, whether it be 1.5 inches (38 mm) in diameter or greater than 14 inches (355 mm) in diameter; whether it is a suction valve or a discharge valve. This article appears in the March 2019 issue of Gas Compression Magazine.